I consider myself a pretty adventurous eater. In fact, until I was about 12 years old I was a terribly picky eater. When we went out to eat I would order chicken fingers, no question. And at home, I would simply refuse to eat the food my parents would prepare. I wouldn’t even eat hamburger buns. Lots of parents have a child who is a picky eater and while I believe it’s sometimes “good enough” to get them to eat a balanced diet, shouldn’t the real goal be to get them to enjoy all types of food? I think so. Here's the first in a series of tips we're calling "Picky Eater Problems" to help you gradually get your picky eater to not just try but truly enjoy new foods. Most everything written about how to deal with picky eaters will mention repetition or that it can take around 10 or 20 attempts for a child to finally regularly eat a new food. That makes sense. A lot of times picky eaters don't like something just because it's different - not because they really dislike the texture or taste! 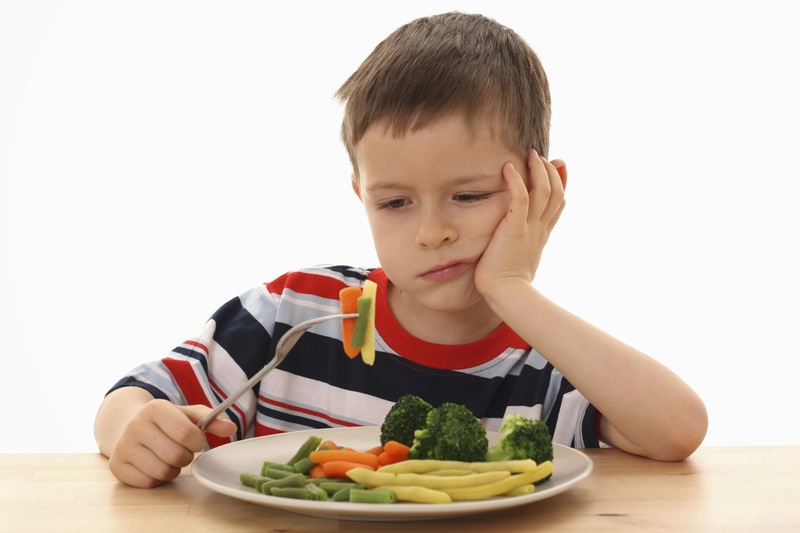 Persistence is key to helping a picky eater realize that they really do enjoy a new food. The "no thank you" bite can help speed up this process, creating an expectation at your kitchen table that everyone will try at least one bite of everything served them - even if it's "adult" food. If your picky eater refuses to eat something that you've served them say "okay, but you have to have a no thank you bite." This is just one small bite, helping him or her slowly realize that they might actually like the food. They won't know unless they try it. Every time it's in front of them. After they take a bite then they can be done with that food. You can move from one "no thank you" bite to two, then three, then four - slowly increasing the number each time new foods are introduced. At first that one bite will be a struggle. There will be kicking. There will be screaming. But, constantly trying new foods, even if it's just a small taste, will help reverse these picky eating habits. And slowly increasing the number of bites is a great way to make good eating habits a gradual process rather than a constant argument. If you tried out this tip, let us know how it worked in the comments. I hope you enjoyed this tip - many more to come!